Why hello there! Did you all have a good weekend? Brian was out of town so I spent most of my time bach-ing it and that meant eating eggs for most of my meals and reading an entire book in a day. #LivingLarge am I right?! On Friday night I went to a rodeo with my friend Jo who was one of the bridesmaids at my wedding. Her job takes her out of town a lot so I hadn’t seen her since the wedding and it was great to finally catch up with her. She comes from a farming background so she could also tell me what was going on at the rodeo as I had no idea there were so many rules to each category! Saturday I bought a new book called The Mortal Instruments: City of Bones by Cassandra Clare. It was an impulse buy and it reminded me of a mix between Twilight and Harry Potter with the main character, Clary Fray, witnessing a murder in a nightclub but realizing that no one but her could see the situation happening. It turns out that the person who was murdered was not a person at all but a demon killed by Shadowhunters Jace, Isabelle, and Alec and Clary is in fact from Shadowhunter blood as well. It turns out that her mother had gone to great lengths to keep her from finding out about her abilities and had had a Warlock cast a spell on her memories every year so that she would not remember that she has ‘the sight’ and is not just a mundane (human). I only had 100 pages left when my mom and I went to the movie on Sunday. The thing that bothers me the most when books become movies are the changes that happen, granted some changes are necessary for on-screen adaptations, however in the Mortal Instruments movie they completely changed the ending from the book. Like COMPLETELY. There were little changes here and there throughout the movie which was fine but I hadn’t realized how significantly they changed the ending of the story until I finished the book when I got home from the movie. It was unfortunate because I liked the book (for an easy weekend read) and I liked the movie (for a tween movie) but they ended so different that to associate them together does not make sense. It is interesting because I wonder if it is because the author jumped at the first screenplay that she saw to hopefully rise to the same fame as Suzanne Collins and Stephanie Meyer or if the movie executives did not give her a say. I think the issue lies with the author here, because the book ending was not a bad ending and I would have actually preferred that ending over the demon infested, portal shattering ending from the movie. Personally, I would be very disappointed if I was the author and saw this movie. Ok my rant for the day is done! 2. Justin Timberlake’s performance. 20 minutes are you kidding me!? He was awesome. Everything that wasn’t listed above. I felt uncomfortable watching her. I mean I get that she is trying to reestablish her image as far away from Hannah Montana as possible but I think it could be done with more class and less crotch lifting and foam-finger gyrating. I actually like her new song “We Can’t Stop” but she couldn’t even sing it live because she was out of breath from twerking Robin Thicke in front of his wife. Like I said: class. So I guess I had two rants in me today! For a Monday that is pretty good! 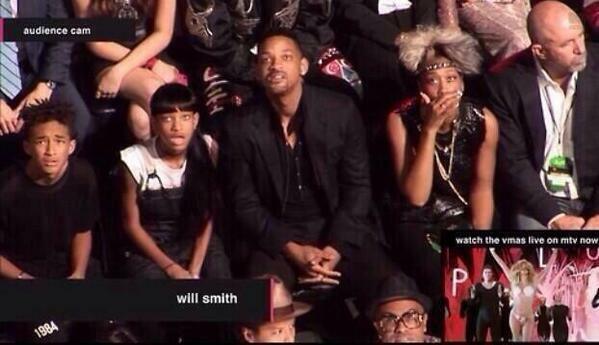 Did you watch the VMAs? What did you think?